It looks like the Silicon Valley billionaire wants to disrupt extinction. 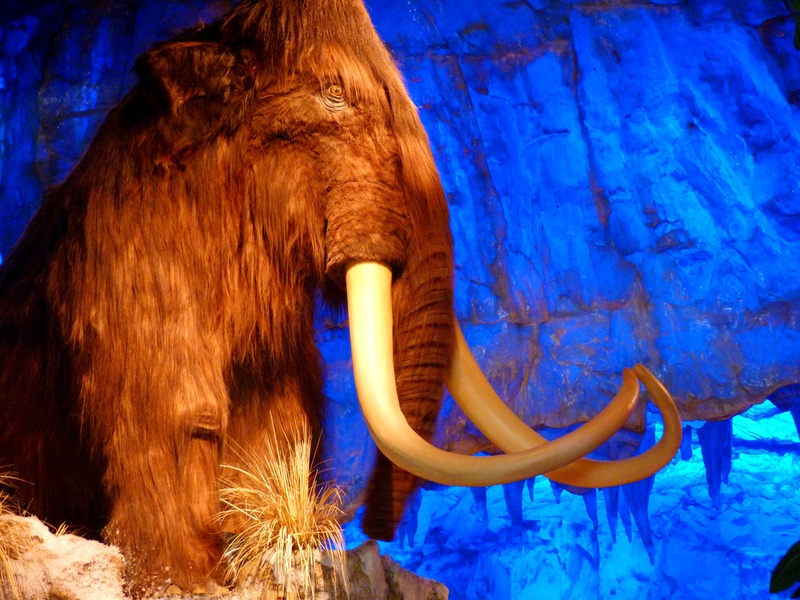 Will we see a woolly mammoth within our lifetimes? If PayPal founder and CEO Peter Thiel has anything to say about it, we will. According to Ben Mezrich’s upcoming book Woolly, the notoriously future-obsessed Thiel has quietly been funding an ongoing project by geneticist George Church and his team of researchers at Harvard University to bring back the woolly mammoth. That’s right: The same Thiel whose financial support of wrestler Hulk Hogan’s lawsuit against Gawker Media that effectively bankrupted the company is trying to help resurface the woolly mammoth from extinction. The Harvard researchers led by Church are using the groundbreaking gene editing technique called CRISPR to insert woolly mammoth genes into the DNA of Asian elephants. According to Mezrich, Thiel gave $100,000 to the project in 2015. Proponents of this project say that bringing back the prehistoric animal could help turn back climate change. Part of the logic behind this argument is that large herbivores trampling permafrost could help slow the loss of this slow-to-replenish environmental resource. In the last century, permafrost loss has been a self-reinforcing feedback loop — the more the climate warms, the more permafrost is lost, and the more permafrost that’s lost, the faster the climate warms. On a more conceptual level, though, bringing back the woolly mammoth would call into question the very notion of extinction. As Inverse previously reported on this project, the same techniques used to bring back the woolly mammoth could be used for other, more contemporary animals. This isn’t the first time Thiel has aimed to disrupt death. The libertarian venture capitalist has put his money behind some pretty weird projects throughout his career. Among these are bioprinted meats, transhumanism via cryopreservation, and perhaps most famously, blood transfusions to prolong life. That’s what makes this revelation perhaps not as much of one: A billionaire who’s obsessed with immortality is helping to fund a project intended to turn back geological time. With such a varied resume of funding bizarre and ambitious scientific efforts, it should come as little surprise that Thiel wants to help bring back the woolly mammoth. Also, let’s be real: For a man whose net worth is $2.7 billion, a $100,000 gift to a research laboratory is not a huge sacrifice. And while there are significant technological hurdles to overcome before we see a baby woolly mammoth take its first steps — using CRISPR on embryonic stem cells and growing the fetuses in an artificial womb, just to name a couple — it looks like Peter Thiel is betting the woolly mammoth will be stumbling alongside us soon.